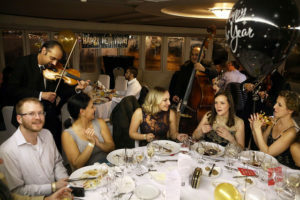 If you are visiting Budapest around December 31, 2018 – January 1, 2019, and wish to celebrate the evening or the next year’s first day with a dinner cruise, you may check out if it is worth splurging a bit on a Danube boat tour in Budapest on New Year’s Eve or on a 2019 New Year’s Day boat ride in Budapest. Fancy boat rides with fancy prices for those who want something special and somewhere special. For an a la carte dinner cruise in Budapest, check out the Legenda sightseeing boat: its 2.5 hour cruise does not include a party, but it is a beautiful way to end the old year with. 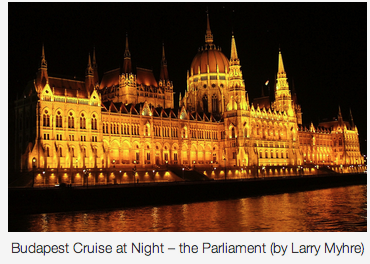 There are beautiful river cruises on both New Year’s Eve and on New Year’s Day in Budapest. As you can expect, the New Year’s Eve cruises are more exclusive and pricey than the calmer after-party like New Year’s Day cruises. See the details below. The New Year farewell is always festive in Budapest despite the freezing cold weather and the occasional snow fall or snowy streets. You can say goodbye to 2018 in style in Budapest by getting on a festive boat ride on the scenic river Danube. The boat tour is not cheap, but as an all night programme with an open bar with all sorts of international spirits, a dinner, etc. it may be a good option. All Wines, Beers, Spirits, Soft Drinks included. Party until dawn is included. With a combination of paying the booking fee by card and paying the rest of the fee by cash, you can save 5 Euros from the full price of the Budapest New Year Cruise. Prices are given in Euro, the currency rate is quite favourable. 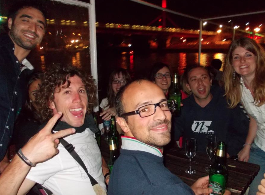 More info on Budapest River Cruise: Danube boat ride in Budapest on New Year’s Eve. a glass of wine (or juice) + 1 bottle of water (0,33) or soft drink included. With a combination of paying the booking fee by card and paying the rest of the fee by cash, you can save some extra Euros from the full price of the Budapest New Year Cruises. 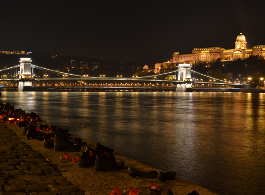 More info on Budapest River Cruise: Danube boat ride in Budapest on New Year’s Day 2019. Budapest New Year cruises are quite fun, and also help you to avoid the crowds in the streets at some of the major hotspots in the city on this party evening.